Prince George BC – It’s been a little over two months since members of the community took the challenge and climbed the cutbanks to raise funds for Kordyban Lodge. 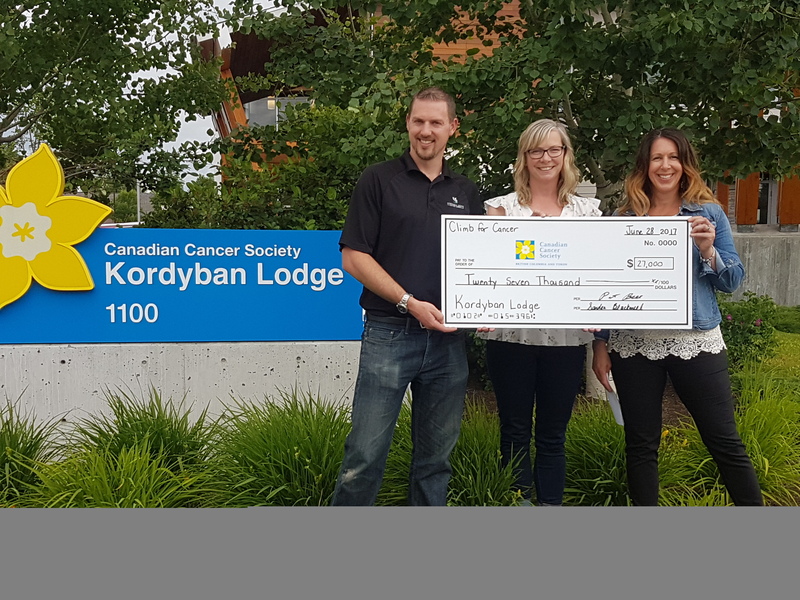 Today the Canadian Cancer Society’s Sandra Blackwell received the cheque for the funds raised by the event. The event this year raised $27 thousand dollars for a 2 year total of $57 thousand. The date has been set for the climb to take place on April 21st. Northern Lights Estate Winery’s Doug Bell says plans are being developed to bring more people out to the event even if they are not up to tackling the challenging climbing of the cutbanks.